About: A Moore & Co is a dispensing chemist that also sells a range of toiletries and health foods. This is an awesome pharmacy. They have lots of great stuff. My gf loves the skin products they carry, some of which you can only buy here and I love the selection of supplements they have on hand. The pharmacist is super knowledgeable and friendly. Highly recommend visiting. 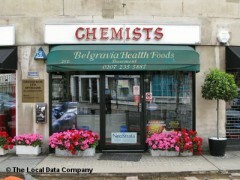 Nice clean pharmacy, excellent products. Very knowledgeable pharmacist!